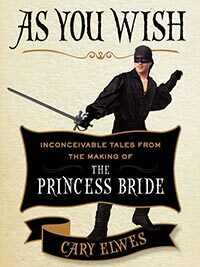 The Princess Bride is a film beloved by me and many others. When Cary Elwes and the rest of the team were making it, they knew it was something special. They felt close. They had gathered a group of very talented people to make the film. Many had been inspired by the original book, some calling it their favorite ever. The screenplay that they worked from had been passed around Hollywood, no one daring to pick it up. Rob Reiner, fresh off some screen successes, brought together a noteworthy group to get it done. Released to an unprimed market, response was lack luaster, but it picked up steam in later years as a VHS release. Since then, it has grown to classic status. Cary gives many insightful, endearing anecdotes about his experience making the film. The audio version notably also includes the surviving actors chiming in with their own experiences and impressions, which was enjoyable and different.